More commonly used to create patios, walkways or foundation for a structure, concrete slabs are gaining popularity as another option to enhance the beauty and usability of an area. With a good walkway, there is no need to muddle through rain puddles or muddy areas. It is perfectly reasonable to design a slab that is not only functional, but blends in your garden or porch design. This DIY project on how to build a concrete slab is not only easy, but requires minimal cost. There are a few things to note. For example, smoothness and level is very important if it is the foundation for a house. Plan and ensure that you are well prepared to carry out this project. The last thing you want is to patch or trench the foundation- it is a tedious and tiresome activity when you do not consider the need for plumbing or electrical conduits (if any). Before you pour cement on an area to set a foundation, first determine the location and size that you want the slab to occupy. For easy referencing, position stakes to mark the boundaries. You can make any necessary adjustments to the design as you plan. Next, clear the area of vegetation. You can also remove a few inches of the topsoil, leveling the dirt to form a shallow hole. Some local authorities may require you to place a vapor barrier under the dirt. Do confirm this with your local building authority. To set the base for the slab, spread gravel over the hole. Steel mesh is also laid. They are wired at the intersections using pliers. This strengthens the foundation where pressure is the highest. Next, use a form to keep the concrete well positioned during finishing processes. The string line will ensure that the form is square. For extra stability, nail the form together. The slab level should be balanced in all directions. You may adjust the sides of the form to accurately balance the design. A cement mixer works best to evenly mix the materials needed for the foundation. When the cement is being poured, ensure that you are ready with a shovel to evenly layer the cement. 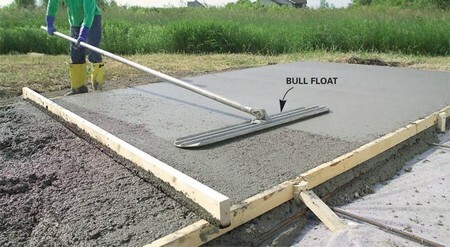 You may use a “push and pull” sawing motion to layer the cement. Allow it to dry; keeping it off limits anything heavy. It may even take up to five days for a driveway. 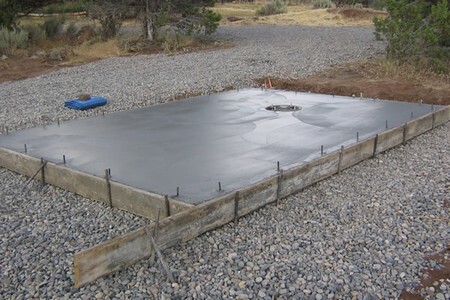 These are basic steps and reminders on how to build a concrete slab. A successful and careful builder will take into account all that matters to ensure the safety of a building’s occupants. In this case, he or she is willing to take extra measures to ensure the stability of the concrete slab.